Green Arrow is a fictional character, published by DC Comics. 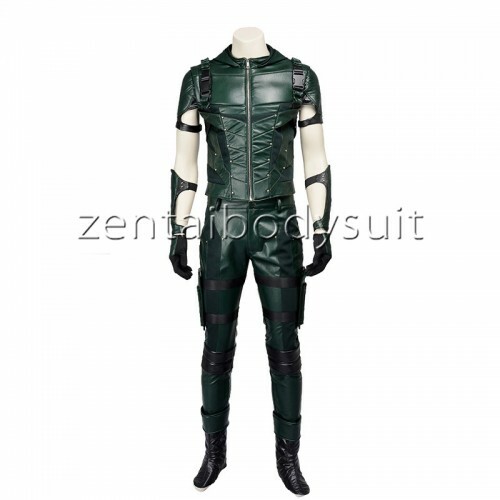 This costume full set is made based on the Green Arrow. 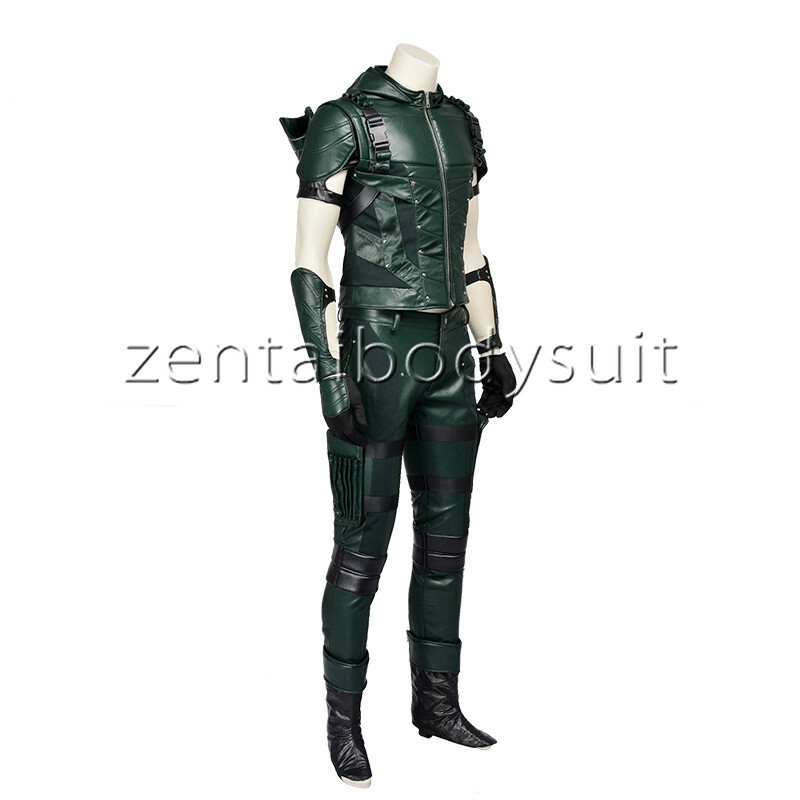 The full set including the top, pants, arm guard, gloves and feet covers. 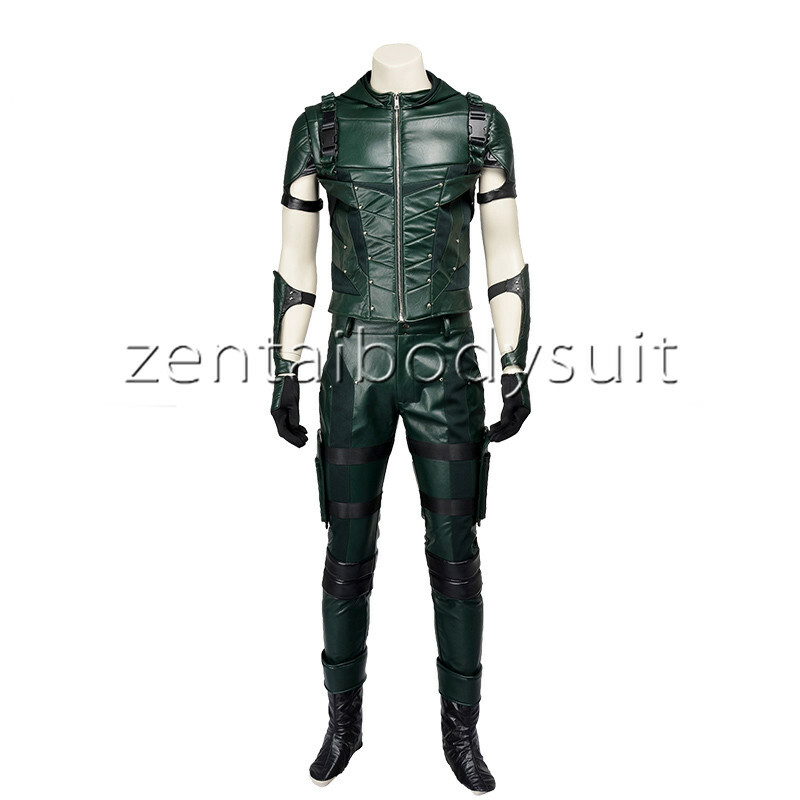 The eyes patch, arrow carrier and arrow are not included. and then put your measurements in the "Custom Size". S 163-167 64"-65" 90-92 35"-36" 78-80 30"-31" 91-93 35"-36"
M 168-172 66"-67" 93-95 36"-37" 81-83 31"-32" 94-96 37"-38"
L 173-177 68"-69" 96-98 37"-38" 84-86 32"-33" 97-99 38"-39"
XL 178-182 70"-71" 99-101 38"-39" 87-89 34"-35" 100-102 39"-40"
XXL 183-187 72"-73" 102-104 39"-40" 90-92 35"-36" 103-105 40"-41"
XXXL 188-192 74"-75" 105-107 40"-41" 93-95 36"-37" 106-108 41"-42"